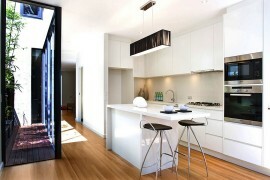 Modern homes seem to be filled with neutral hues. 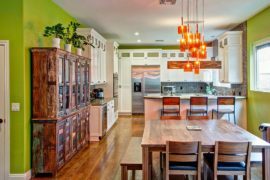 White, gray and brown generally take up most of the backdrop and décor is no different with major furniture pieces like the living room couch or the dining table also coming in muted colors. 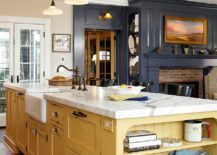 While this gives you a great amount of decorating freedom when switching between styles, accent hues and seasonal trends, it also can lead to a boring home that is far too ‘vanilla’. 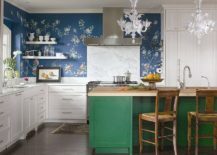 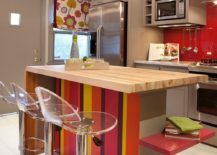 Moving away from the generic and breathing a whole new life into your kitchen, a colorful kitchen island definitely shakes up the dreary status quo. 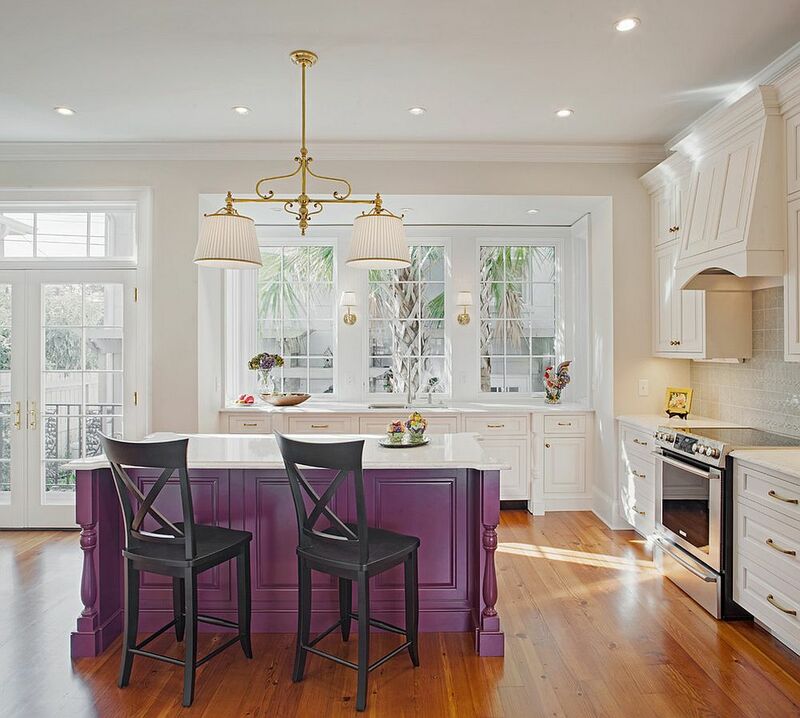 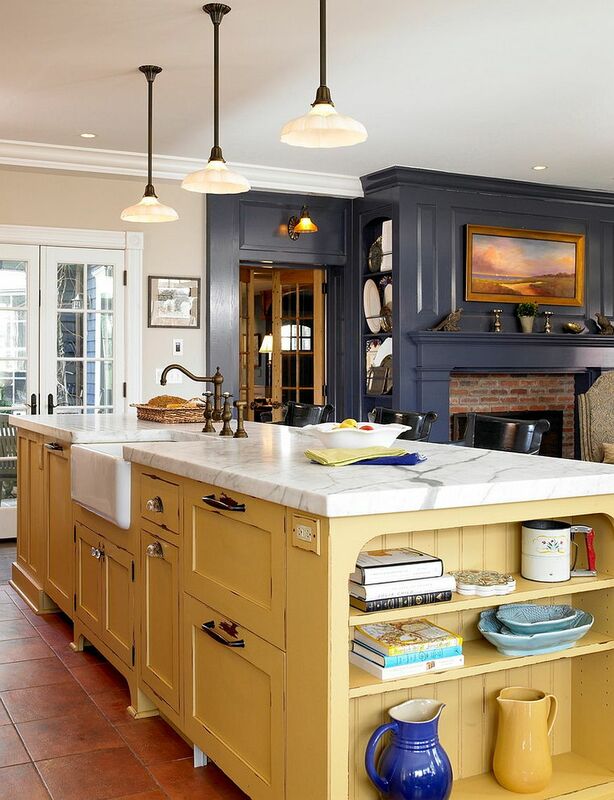 Whether you want a painted kitchen island or long for an island that is polished and far more contemporary in its finish, a colorful masterpiece at the heart of your kitchen makes a big difference to the overall ambiance. 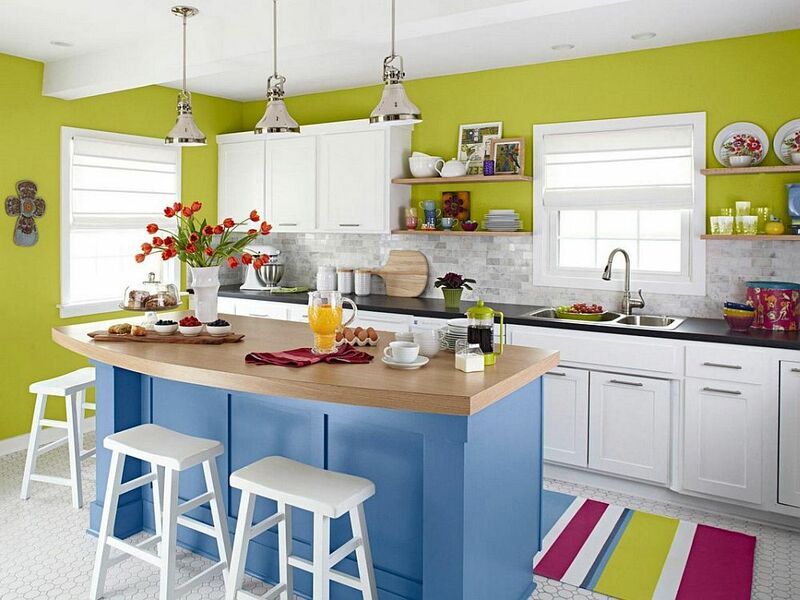 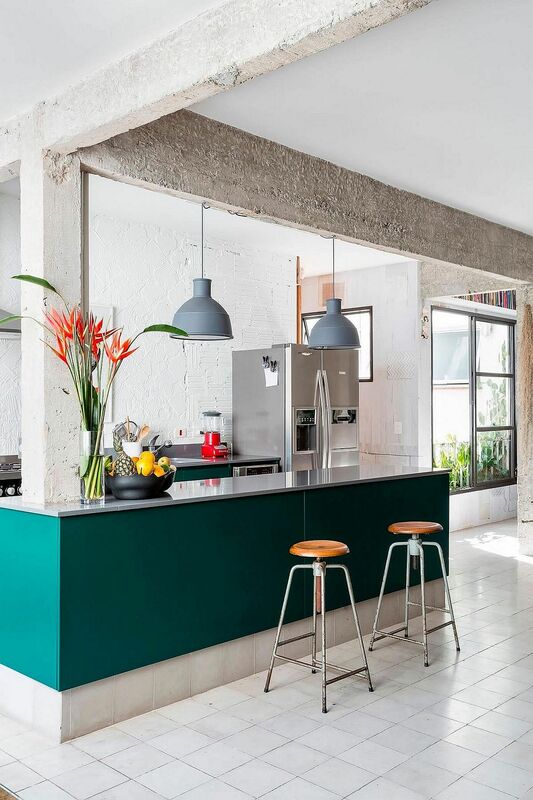 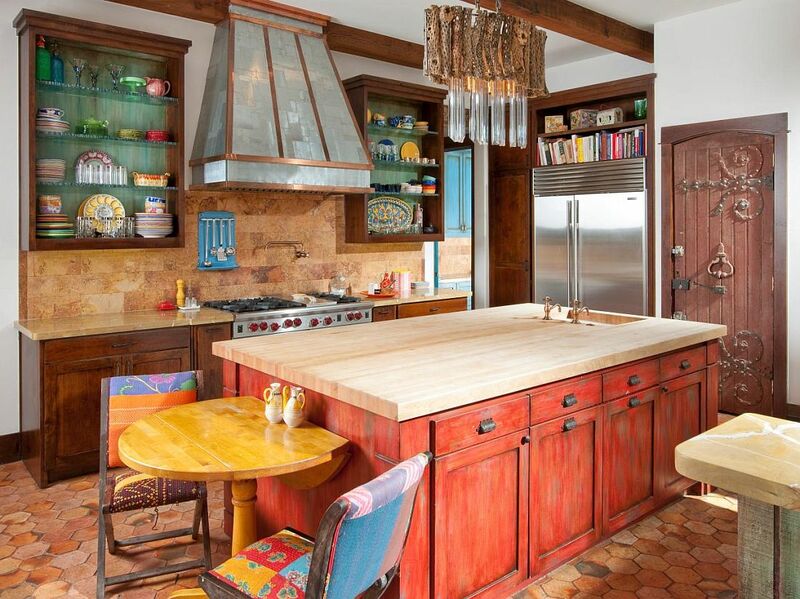 Colorful islands give the kitchen personality, uniqueness and elevate the style of your open plan living. 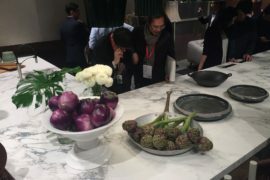 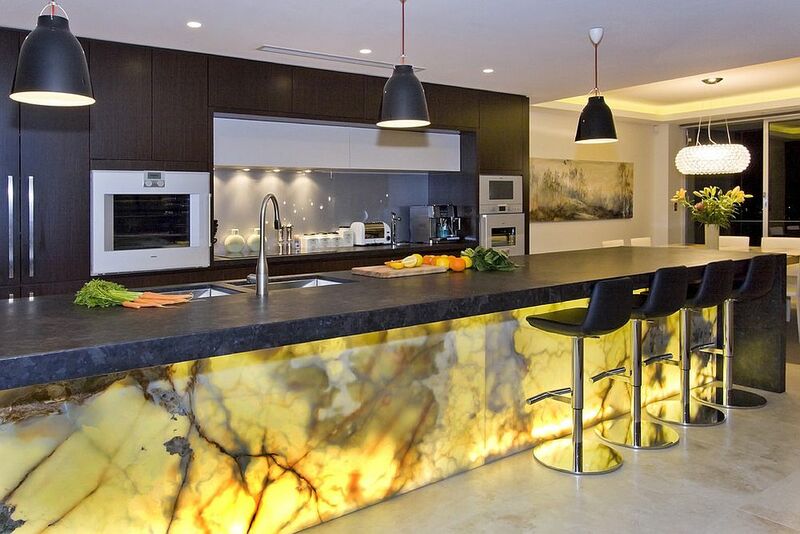 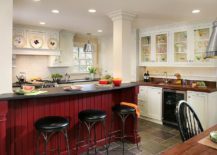 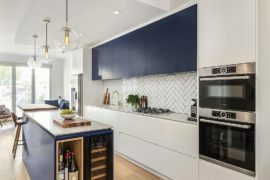 It also sets the kitchen apart from the dining room and living area next to it and also you to experiment with different colors for kitchen cabinets. 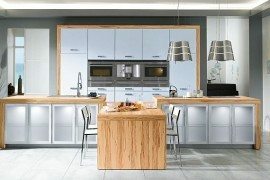 It is time to move away from dull grays and all too common white as you embrace a splash of vivaciousness in the kitchen! 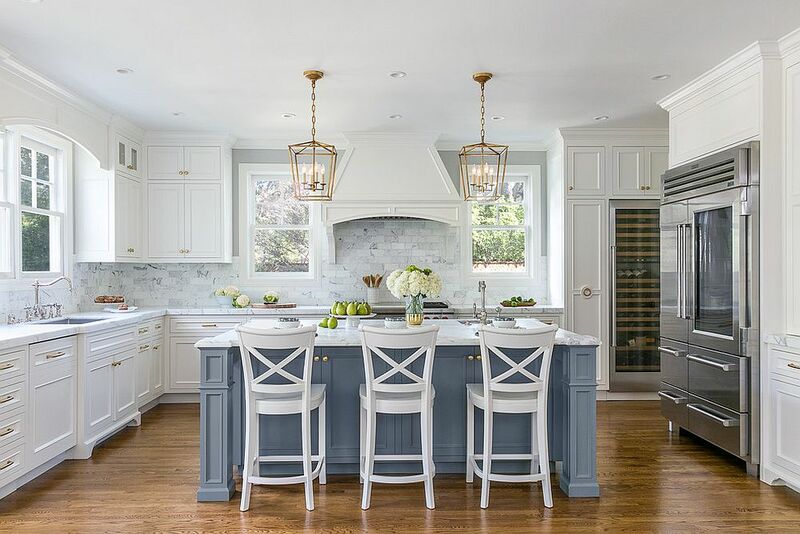 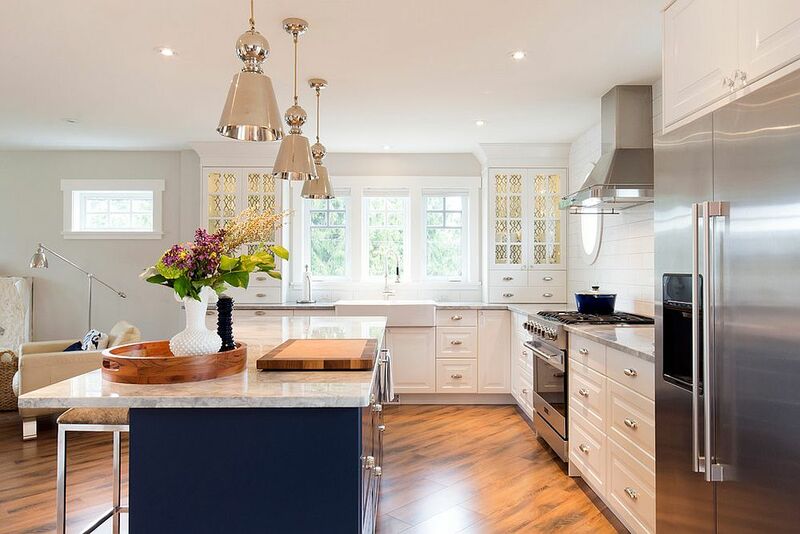 There are few colors as versatile as blue and even in a world where gray seems to be taking over, blue still stands tall as a perpetually popular choice among homeowners. 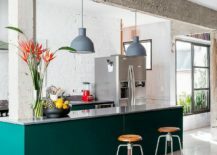 The biggest reason for this is how it fits in with a wide variety of themes ranging from minimal, contemporary and Scandinavian to rustic, coastal and Mediterranean. 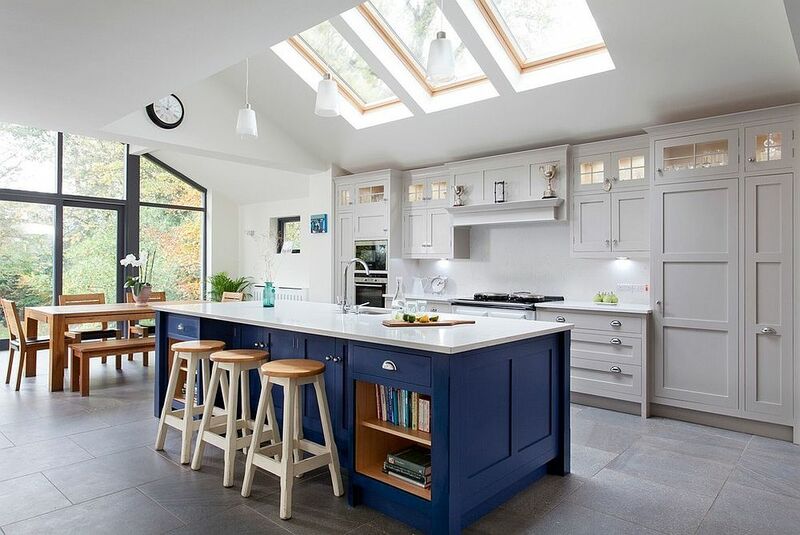 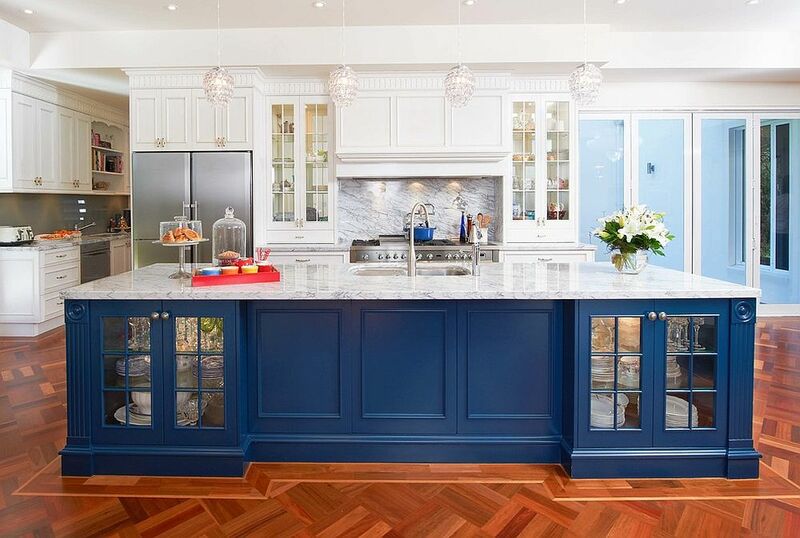 It is the finish of the kitchen island, material of choice and the shade of blue that combine to create the right island for your stylish kitchen. 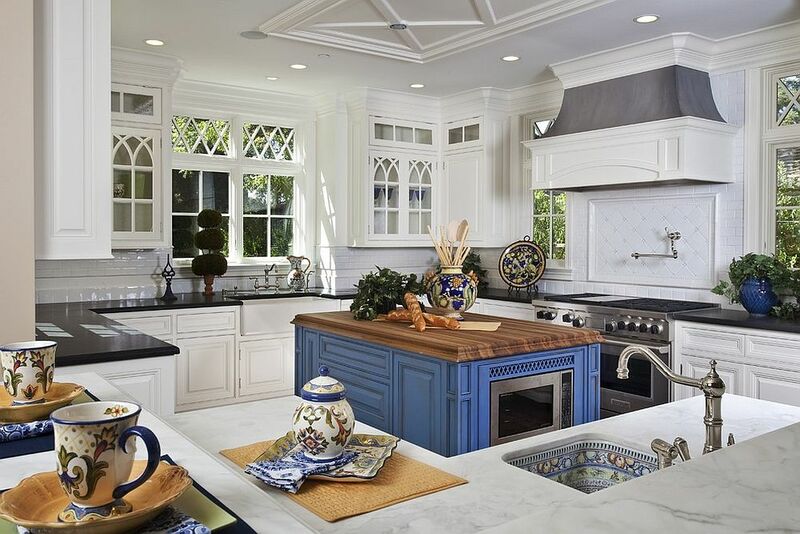 Increasingly white marble countertops are the surfaces of choice in most kitchens and these work beautifully when combined with an island in blue. Islands in darker shades of blue steal the spotlight in traditional and coastal kitchens while those clad in lighter, chic bluish-gray shades feel at home in modern and refined spaces. 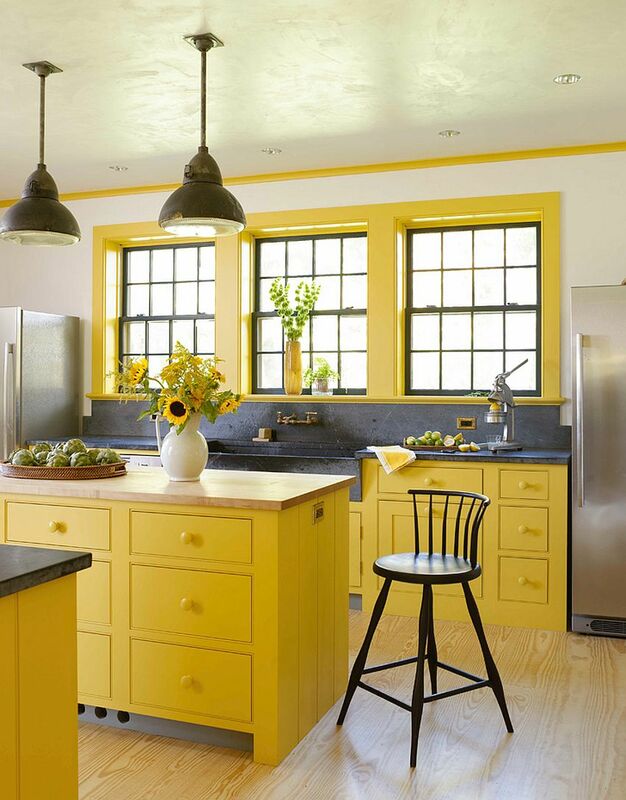 Combine these with kitchen cabinets in white and you have a dashing, cheerful kitchen. 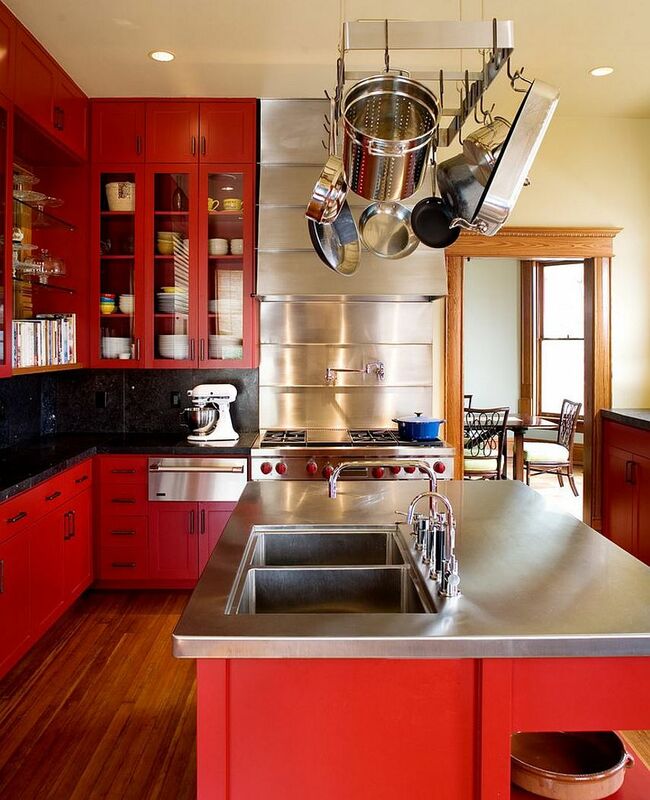 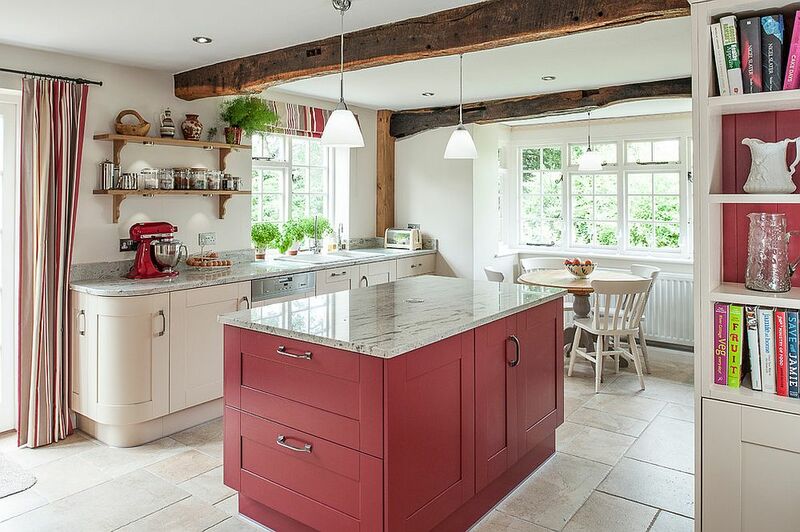 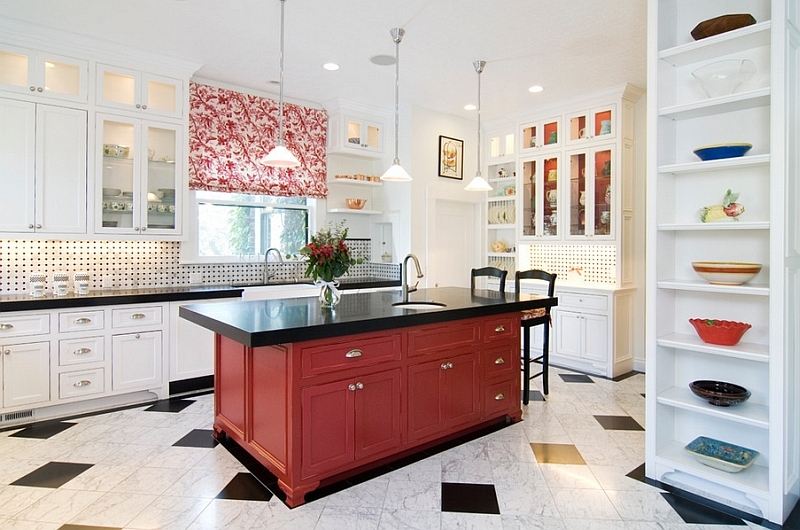 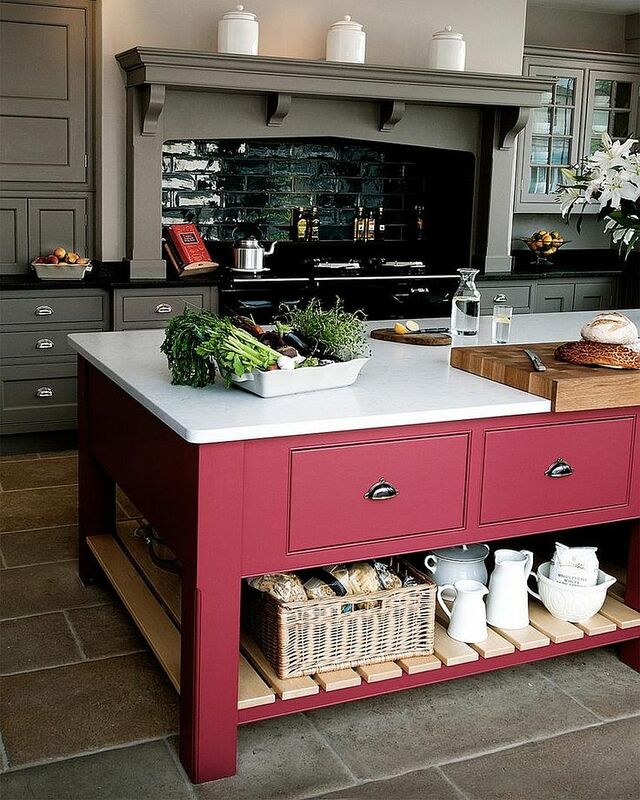 Striking kitchen island in red and black! 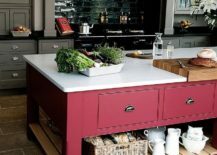 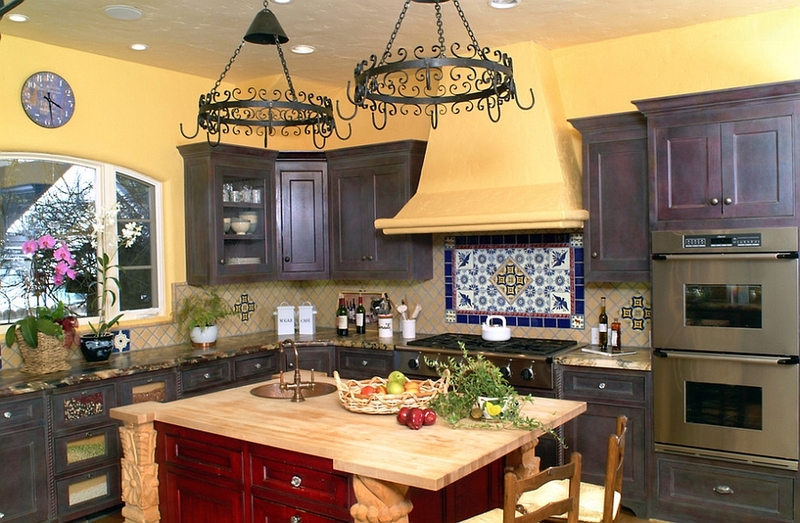 Finding the right color for your kitchen island is far simpler than you think. 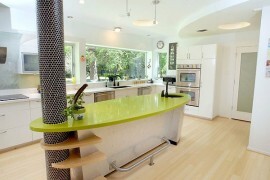 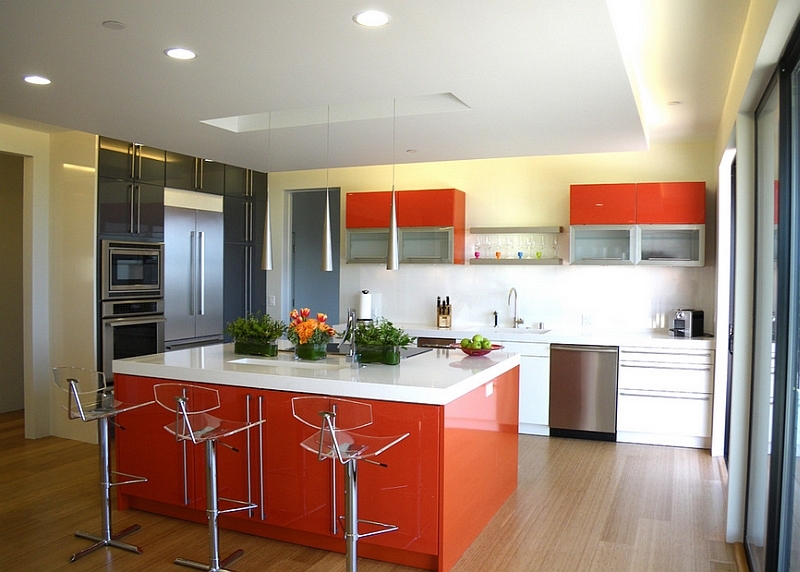 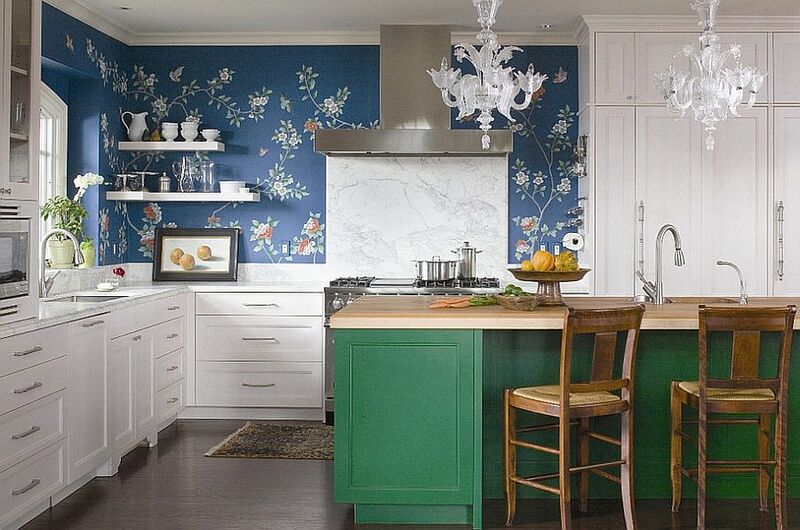 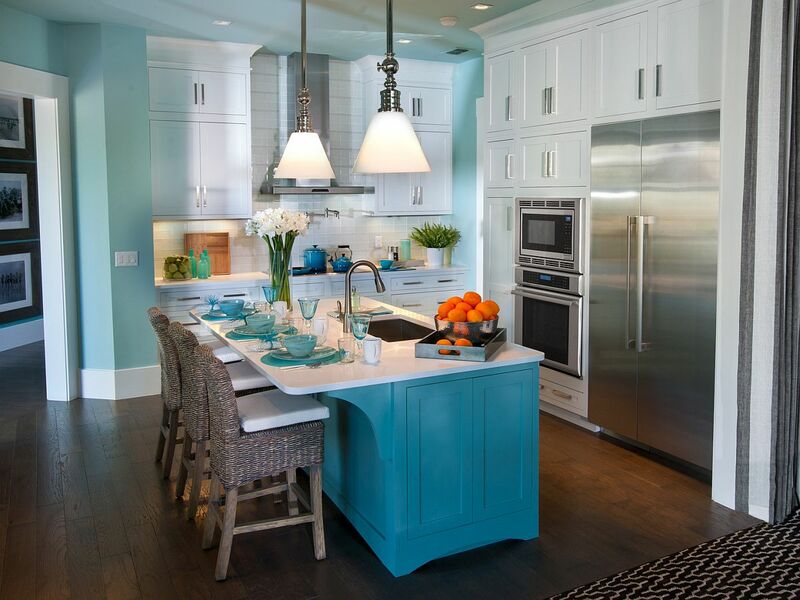 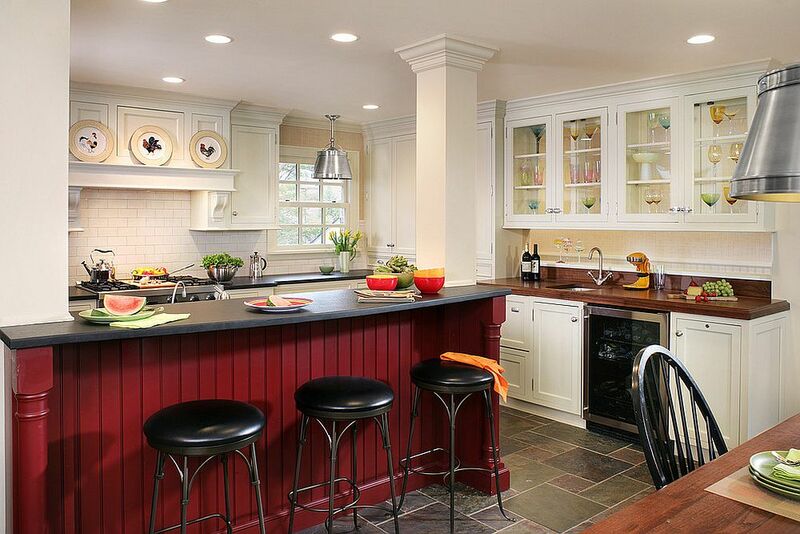 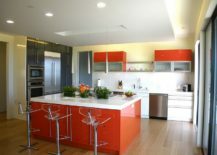 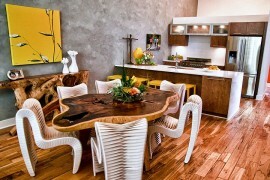 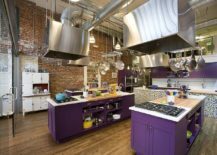 This first step is to settle on both the style and the color scheme of the kitchen itself. 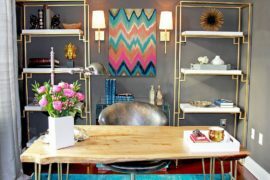 Once you have this sorted, most of the work is done and your choices are instantly narrowed down. 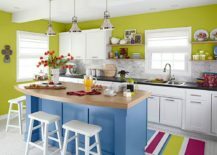 A kitchen with too many colors looks cluttered and hence it is best to pick a color for the island that is repeated elsewhere. 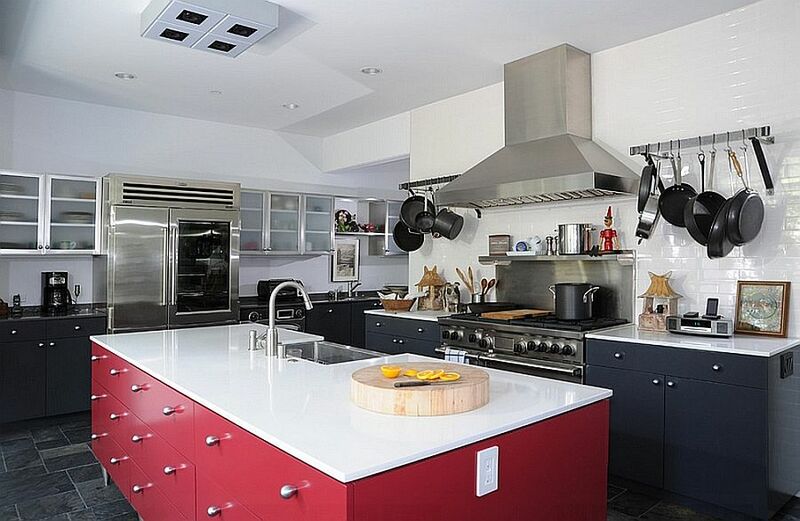 Of course, a left-field choice is always welcome in an eclectic kitchen, but it does not work in most other kitchens. 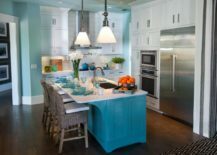 Whether it is stunning teal island in a polished contemporary kitchen or one in sunny yellow at the heart of a traditional kitchen, keeping the cabinets and the backdrop as neutral as possible helps immensely as well. 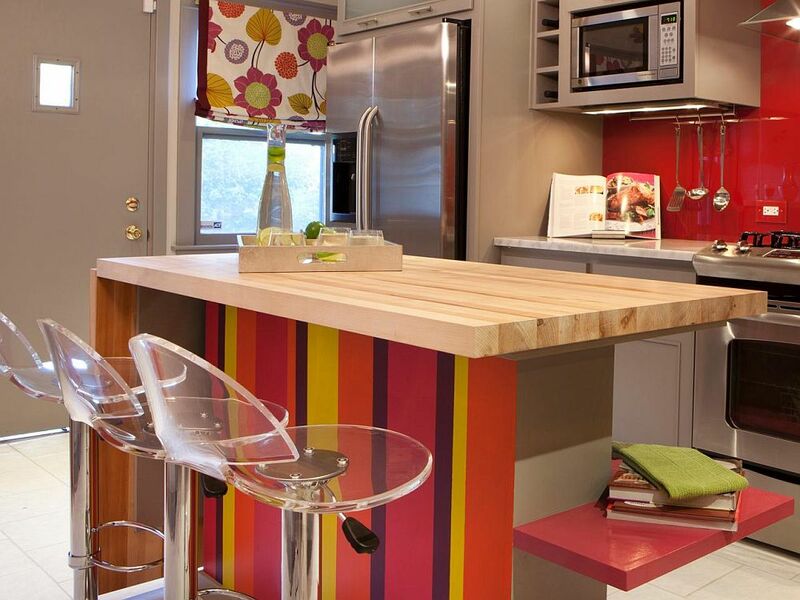 Pink makes an unexpected appearance in this modern kitchen!